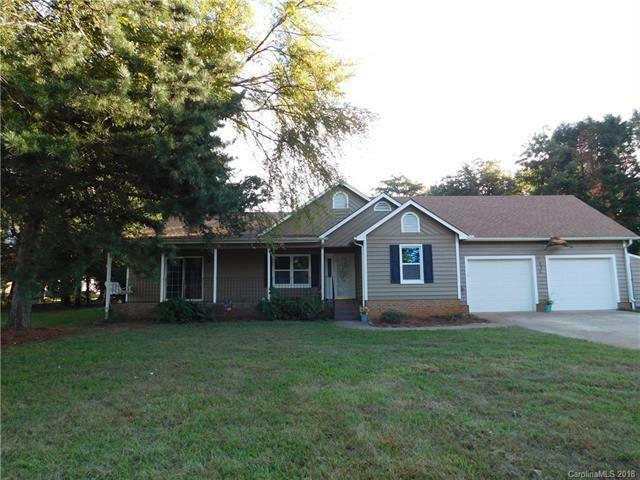 Ranch Home with Lake Norman lake access in a highly desirable location! 600 feet to the private neighborhood common area with boat ramp, boat slips, picnic and swimming area. You have the option to lease a boat slip yearly. This home offers an intimate cul-de-sac road with just a handful of other homes. Charming rocking chair front porch with a swing to enjoy the lake breeze. Exterior and interior completely painted! New carpet! New windows in front of home. Fully fenced backyard with covered porch to enjoy the beautiful sunsets. Large great room with vaulted ceiling and fireplace. Private office or craft room. Master bedroom has huge walk-in closet and private access to the deck/patio area. New A/C 2018, Septic pumped 2017. Welcome home!